SHANDELEE, NY (August 17, 2014) – If you don’t know what the above headline means – think “youth” and then change the title to Argerich, Bachauer and Kraus, and if you know what THAT means, you get a sense of what transpired at two Young Artists concerts for the 21st Anniversary Season of the Shandelee Music Festival. Founded in 1993, one aspect of the Shandelee Music Festival’s philosophies and goals is to provide for the further development and nurturing of an individual’s creativity and passion for music by providing students with the opportunity to perform and develop mastery of their instrument. 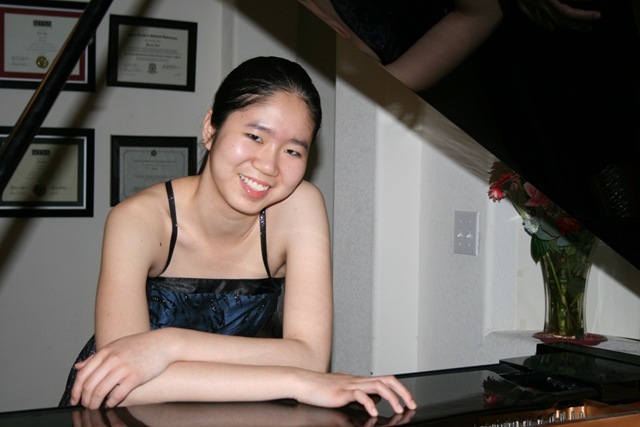 “Student” to Shandelee means young artists who are professionals, who have not only entered and won prizes in many piano competitions, but have also given solo recitals and performed with orchestras both here and abroad. Attending a concert that features Shandelee Young Artists is, in most ways, no different than attending a concert featuring adult performers. The three pianists I heard this year have careers so promising that it would not be surprising if they eventually become as well loved as pianists of the ilk of Martha Argerich, Gina Bachauer and Lili Kraus, or the very expressive European-known Maria-João Pires. The August 9, 2014 concert afforded me the pleasure of listening to and watching Claudia Hu for the fourth time. 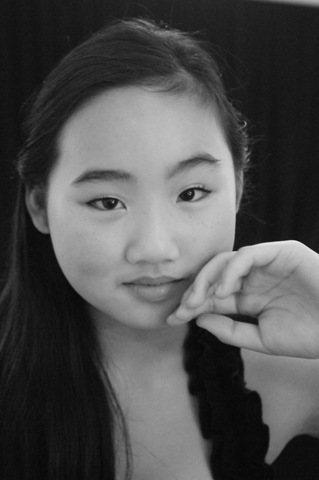 Previously, I heard the 15 year old perform in “group” concerts, so it was a pleasure to see her do more than 10 or 15 minutes, as she shared the evening’s program with 14 year old Helen Shen. I have heard Hu (photo left) perform Haydn and Beethoven in the past. This time she played a lovely and colorful Mozart sonata (K.570) which I was pleased to notice, before I even read the liner notes, contained “colorful unexpected themes”. Schumann’s “Arabeske” and four works by Chopin followed. I also noticed before reading the notes, thanks to Ms. Hu’s rendering of it (and of the entire work), that Chopin’s “Nocturne in c# minor, Op. posthumous” contained a powerfully “soft sad introduction”. And at certain points, when called for, her fingers flew like gossamer over the keys. An exceptional performances of Villa-Lobos’ “Le Polichinelle,” one and half minutes or so of virtuoso writing that probably never could have occurred if Chopin hadn’t wrought his magic a hundred or so years prior. This was my second exposure to the talent of Helen Shen (photo right), remembering her moving performance of Grieg’s excellent “Etude in Hommage to Chopin” last year. This time she performed what is arguably Scarlatti’s most famous sonata (in E Major), then Beethoven’s “Sonata Op. 2, No. 2”, and then two of Chopin’s Nocturnes, Op. 27. She seemed to have a special affinity for the Chopin pieces, being even somewhat more expressive with them than with Scarlatti and Beethoven, perhaps because of some lovely, dark, brooding and very serious qualities they had, as opposed to the more classically constructed works by the other two. Shen ended her exciting program with one of Liszt’s Hungarian Rhapsodies, and then an encore similar to the Villa-Lobos piece, Moszkowski’s “Etude No. 6 in F Major”, for which she gave a masterful performance thrilling the audience and making us all sorry the evening was over. Experiencing an evening of solo piano seemed to come at the right time after our usual inundation (no, I am not complaining at all!) of chamber music during the summer in Sullivan County. And that happily continued on August 16 when 19 year old Anna Han took the stage. And BOY, did she take it! Beginning with Bach’s “Organ Prelude in g minor, BWV.535”, every organ-hater in the audience was treated to the musical magic of what Bach’s organ language expresses, thanks to Han’s performance of the “more-clarity-possible keyboard” of the piano, enabling us to hear Bach’s notes and “get it” without the overpowering sonorities of the organ. Han (photo left) excelled in her astute performance of Beethoven’s “Sonata in E Flat Major, Op.31, No. 3.” When it was over, some people stood, and the applause did not subside for quite a long while. What wonderful audiences attend these concerts. They sure are aware when they hear greatness, and they are so open to receiving emotion. Not a pin drop could be heard throughout both the entire concerts. That proverbial “hush” comes over them as they experience and love the magic they are being given. Han’s prowess was continually evident in the rest of the program, works by Scriabin and Chopin. Her encores were by her favorite composer, Rachmaninoff – his “Lilacs”, and, a most pleasant unannounced surprise, “Embraceable You”, a brilliant, classically constructed technical wonder arranged by world-renown pianist Earl Wild (in 1997 he was the first pianist to stream a performance over the Internet) from his seven “Gershwin Etudes”. I believe Wild was involved in the creation of the Shandelee festival. I do know he was a teacher-mentor to the Shandelee students for quite some time, perhaps even at the outset. So Han’s choice had added meaning to the Shandelee audience, some even knowing it was Wild who arranged the song. Han was not aware of the coincidence and synchronicity of her performing something at Shandelee by Wild. A Magic Moment! If Hu and Shen can be called Young Artists, it is because of their status at the moment: their “discovering” of music and conveying the awe of that discovery to us as they play. Not so with Anna Han, for whom ”young” means age only. If “young artist” means “discovery,” then “artist” means “knowing”. 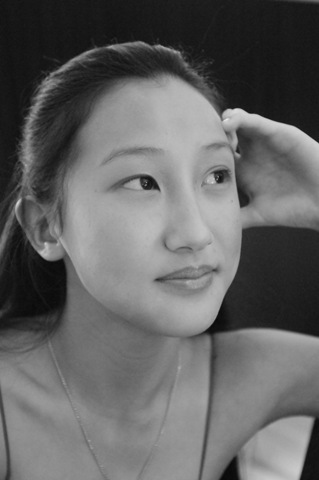 Han is a “knowing” artist, mature in her entire take on the music, her persona and communicative skills. And, hopefully, indicative of where we can rightly assume Hu and Shen will be in four or five years thanks to programs like Shandelee’s. I look forward to the last concert of the Shandelee festival on August 19 with The Hermitage Trio, two superb artists I have heard before in Montgomery and one I have not yet had the pleasure of hearing. www.shandelee.org or 845-439-3277.